One in 5 households with children in Indiana reported in surveys covering the 2014–2015 period that they struggled to afford enough food, according to a new report released today by the Food Research & Action Center (FRAC). Food Hardship in America: Households with Children Especially Hard Hit provides data on food hardship — the inability to afford enough food — for the nation, every state, and 100 of the country’s largest Metropolitan Statistical Areas (MSAs). Indiana ranked 23 out of 49 states and the District of Columbia, with 19.8 percent of households with children in 2014-2015 reporting they were unable to afford enough food. Louisville/Jefferson County (IN-KY) MSA ranked 11 out of 100 with a food hardship rate of 24.4 percent for households with children in 2014-2015. Indianapolis-Carmel-Anderson MSA ranked 46 out of 100 with a food hardship rate of 19.9 percent for households with children in 2014-2015. Chicago-Naperville-Elgin, IL-IN-WI MSA ranked 63 out of 100 with a food hardship rate of 18.4 percent for households with children in 2014-2015. Cincinnati, OH-KY-IN MSA ranked 90 out of 100 with a food hardship rate of 14.9percent for households with children in 2014-2015. Nationally, the food hardship rate for households with children (19.2 percent) was substantially higher than the food hardship rate for households without children (14.2 percent). 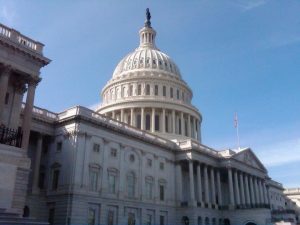 Research shows that participation in federal nutrition programs, such as the Special Supplemental Nutrition Program for Women, Infants, and Children (WIC), the Supplemental Nutrition Assistance Program (SNAP), and meals provided during child care, school, afterschool, and summer, mitigate hunger and supports children’s health and learning. Food Hardship in America: Households with Children Especially Hard Hit contains data throughout 2014 and 2015 for 49 states and 100 of the country’s largest metropolitan areas (MSAs). The data were gathered as part of the Gallup-Healthways Well-Being Index survey, which has been interviewing hundreds of households annually since January 2008. FRAC has analyzed responses to the question: “Have there been times in the past 12 months when you did not have enough money to buy food that you or your family needed?” A “yes” answer to this question is considered to signal that the household experienced food hardship. Editor’s Note: Maine rates were excluded from this report due to anomalies in the Gallup polling data in that state. The Food Research & Action Center (FRAC) is the leading national nonprofit organization working to improve public policies and public-private partnerships to eradicate hunger and undernutrition in the United States. In its A Plan of Action to End Hunger in America, FRAC recommends a policy path for the nation to reduce the suffering and unnecessary costs caused by struggles with hunger, poverty, and reduced opportunity. Follow FRAC on Facebook and Twitter. Reauthorization currently being considered by Congress provides an important opportunity to invest in the Summer Nutrition Programs so that more children return to school in the fall, well-nourished and ready to learn. The report is an annual analysis of data that measures the success of Summer Nutrition Programs at the national and state levels by comparing the number of children receiving summer meals to the number of low-income children receiving free or reduced-price school lunches during the regular school year. The school lunch data are a good proxy number for the extent of need in each state. By this measure, 18.4 low-income children in Indiana ate summer meals for every 100 who ate school lunch during the regular school year. Nationally, the ratio was 15.8:100, down from last year’s ratio of 16.2:100. There is still much room for improvement in Indiana. Low participation means missed meals for children and missed dollars for the state. If Indiana had reached 40 children with summer food for every 100 low-income children who get school lunch during the regular school year, Indiana would have fed an additional 92,924 low-income children every day in July 2015 and brought in $7,334,032 more federal dollars to do so. The Summer Nutrition Programs, which include the Summer Food Service Program and the National School Lunch Program in the summer months, should be filling the food gap for the thousands of low-income Hoosier children who rely on school breakfast and lunch during the school year to help keep hunger at bay. These programs provide free meals at participating summer sites at schools, parks, other public agencies, and nonprofits for children under 18. Not only do children benefit from the free meals, but they also benefit from the enrichment activities that keep them learning and engaged. The best way to meet children’s needs over the summer is with healthy meals that are served in positive community environments while the children’s parents are working. 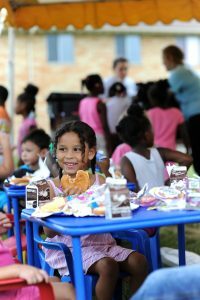 Hoosier families can find nearby summer meal sites at http://www.doe.in.gov/nutrition/sfsp-parents-page, by calling 211 or texting FOOD to 877-877. Data for Indiana come from the June 2016 version of the annual report released by the Food Research & Action Center (FRAC), the lead advocacy organization working to end hunger in America through stronger public policies. The FRAC report, Hunger Doesn’t Take a Vacation, gives 2014 and 2015 data for every state and looks at national and state trends. FRAC measures summer participation during the month of July, when typically almost all children are out of school throughout the month and lose access to regular school year meals. The report is available online at www.frac.org. PHOTO: According to the Food Research and Action Center, 213,000 Indiana children ate a free school breakfast last year, less than half of those who participated in the federal School Lunch Program. Photo courtesy of the U.S. Department of Agriculture. INDIANAPOLIS – Indiana schools have been working to ensure that all children, especially those who are low-income, start their day with a healthy breakfast. But a new report shows there is room for improvement. The Food Research and Action Center found that less than half of the students who participated in federally funded school lunch programs also took part in the School Breakfast program. Lindsey Hill, president of the Indiana School Nutrition Association, said schools are trying to boost those numbers by offering breakfast outside of the cafeteria setting. Indiana is sharing in a recent $5 million grant to rework how school breakfast is delivered, and Hill said school administrators and food-service directors around the state are collaborating to develop new strategies to reach more kids. Indiana ranks 34th nationally for participation in free school breakfast programs. 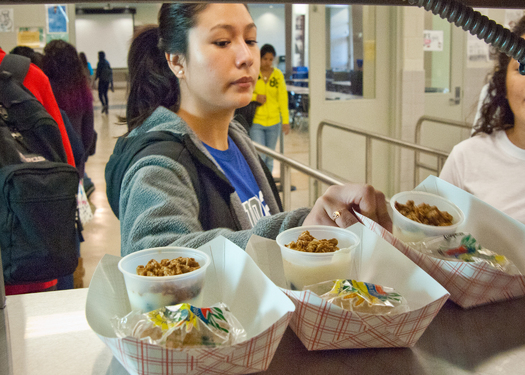 National implementation of the Community Eligibility Provision, allowing eligible low-income students to feed all students free of charge, began this year. The Indianapolis Public School District is among those offering it, and Hill said it is a good way to start the school day. According to the report, school breakfast programs have been linked to improved nutrition, fewer disciplinary problems and fewer missed days of school. Hill said the programs also help students learn better because they are not distracted by an empty stomach. The School Breakfast Scorecard is online at frac.org. Feeding Indiana’s Hungry is committed to enhancing the quality of life for our clients through access to safe, nutritious food and other vital necessities. Feeding Indiana’s Hungry supports legislation and administrative policies which recognize the needs of the more than 1.1 million Hoosiers our food banks serve and increase the accessibility of nutritious food options to promote health, educational attainment, and workforce success for those in need. Continued support for Indiana producers and Indiana food banks. $1.2 million for Indiana’s food banks to purchase surplus or #2 produce from Hoosier farmers through a Farms to Food Banks program. Continued support for the Sportsmen’s Benevolence Fund. State funding for the Sportsmen’s Benevolence Fund covers the cost of processing of donated deer from Hoosier hunters. This venison is donated to Indiana’s food banks and pantries. Removing barriers to public assistance enrollment and administration to ensure that programs that assist food bank clients are provided to those eligible for the assistance in the most efficient and cost effective way possible. Ensuring adequate funding for health and human services and providing sufficient resources to protect Indiana’s vulnerable populations. Strengthen States’ Ability to Reach Kids During the Summer. Align the area eligibility requirement for summer feeding and educational programs to allow more learning programs to offer meals in the summer. Allow communities to adopt alternate program models in areas where children lack access to a program site to reach more kids, such as waiving the requirement that kids consume meals on site, allowing communities to send meals home with children, or giving families a grocery card to supplement their household food budget. Streamline Regulations for Community Based Providers. Allow nonprofits to operate one child nutrition program year round by eliminating duplicative administrative processes and aligning inconsistent program requirements of the Child and Adult Care Food Program (CACFP) after school and the Summer Food Service Program (SFSP) during the summer. Allow Flexibility to Better Reach Kids During Weekends. Waive the arbitrary on-site requirement to allow communities to innovate more effective ways to serve kids, such as sending needy children home from school with a backpack of nutritious meals or groceries on Friday afternoons. Leverage Schools Beyond the School Day. Encourage schools to make their facilities available to local nonprofits as a shared community resource would allow communities to nourish more children when school is out. By opening up kitchens, libraries, or playgrounds to community nonprofits, many schools are important partners in feeding children after school, during the summer, and on weekends. Strengthen Access and Quality in School Meal Programs and WIC. Continue to support schools as they strive to improve the nutritional quality of meals, providing support, equipment, and training to meet the guidelines set in the last child nutrition bill. Fewer than half of eligible children ages one to four participate in WIC, and we must ensure families’ access to the important nutrition and health benefits that WIC provides. INDIANAPOLIS, IN – REVISED April 24, 2014 – Feeding Indiana’s Hungry announced that the annual Map the Meal Gap results released today show that food insecurity continues to remain high in Indiana. According to the newly released data, 15.7 percent of Hoosiers are food insecure–more than one million people–which includes nearly 346,000 children. Indiana falls around the national average of 15.9 percent food insecurity for all Americans; 21.8 percent of Hoosier children are food insecure compared to 21.6 percent of all American children. Rates reach as high as 19.2 percent of the total population in Marion County and 28.5 percent of children in Fayette County, Indiana’s highest areas of food insecurity. 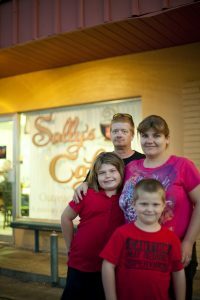 Indiana’s lowest rates occurred in Hamilton County, where 9.8 percent of the total population and 14.3 percent of children are food insecure; however, this still amounts to an estimated 27,130 people and 11,790 children in Hamilton County who don’t know from where or when then their next meal will come. 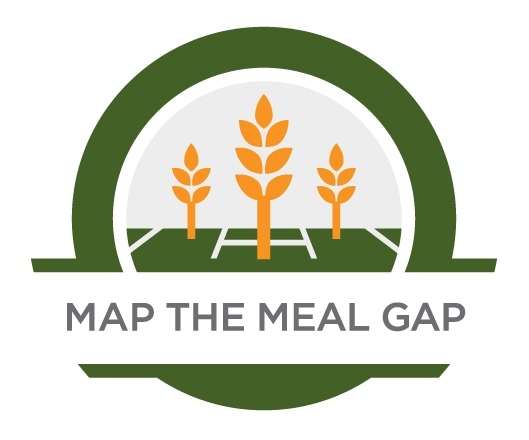 Map the Meal Gap 2014 is a detailed analysis of food insecurity done by Feeding America and the only study available that provides county–level estimates of food insecurity in the United States. Food insecurity is defined by the USDA as a socioeconomic condition of limited or uncertain access to enough food to support a healthy life. 71 percent of food insecure Hoosier children live in households likely eligible for federal nutrition assistance like free and reduced price school lunch, school breakfast, and the Summer Food Service Program. Research for the study was generously supported by the Howard G. Buffett Foundation, ConAgra Foods Foundation and Nielsen. Indianap olis, IN– September 18, 2013 – The recession has meant that high numbers of all types of households have been struggling to purchase adequate food, but households with children suffered extraordinarily high rates, according to a new national report released today. In surveys running for five years through 2012, nearly one in four households with children said they couldn’t consistently afford food, even as the House Majority Leadership is proposing to cut the Supplemental Nutrition Assistance Program (SNAP, formerly food stamps) by a staggering $40 billion. Food Hardship 2008-2012: Geography and Household Structure, released by the Food Research and Action Center (FRAC), found that in surveys from 2008-2012, 26.5 percent of households with children in Indiana said there were times in the prior year when they did not have enough money to buy food that they needed for themselves or their family. 17 percent of households without children Indiana said they faced the same struggle. Indiana is ranked 16th worst in the nation in both categories. This report is consistent with data released by the federal government this month which show how many Americans continue to struggle. Food insecurity data, released by the Economic Research Service of the U.S. Department of Agriculture (USDA), show that 13.5 of households in Indiana struggled with hunger during the 2010 to 2012 period. (Those data are not broken down by households with and without children.) And poverty data released yesterday by the U.S. Census Bureau showed Indiana’s incomes trailed the U.S. average in 2012 by 9 percent, the 12th year in a row Hoosiers’ earnings have lagged behind the average Americans’. For the Indianapolis-Carmel MSA, the food hardship rate for households with children was 22.4 percent for households with children (54th in the nation), and 17.1 percent for households without children (20th in the nation). For the Louisville MSA, the food hardship rate for households with children was 28 percent for households with children (10th in the nation), and 16.5 percent for households without children (30th in the nation). For the Cincinnati MSA, the food hardship rate for households with children was 22 percent for households with children (57th in the nation), and 15.8 percent for households without children (38th in the nation). For the Chicago MSA, the food hardship rate for households with children was 21.8 percent for households with children (60th in the nation), and 13.6 percent for households without children (68th in the nation). The full analysis is available on FRAC’s website (www.frac.org). A new study finds that 1,063,990 Hoosiers – including 355,780 children – do not always know where they will find their next meal. In all, 16 percent of the population in Indiana struggle with hunger, according to research released today by Feeding America, the nation’s largest hunger-relief organization. For Hoosiers under 18 years old, the food insecurity rate is nearly 23 percent. These rates remain unchanged from 2011. The findings are from Feeding America’s “Map the Meal Gap” study, which estimates the rate of food insecurity for both the general population and, separately, for children under the age of 18. The estimates are calculated at both the county and congressional-district level for the entire U.S. The eleven member food banks of Feeding Indiana’s Hungry are all part of the Feeding America network. “We are particularly concerned about children who are under-nourished. A child who does not receive adequate nutrition may experience behavioral problems, have difficulty concentrating in school, and has an increased risk of medical problems. Lack of adequate nutrition in children, for even a brief period of time, may also cause permanent physical and developmental impairments,” Gundersen said. According to the U.S. Department of Agriculture, more than 50 million people nationwide are food insecure. By analyzing household income levels, the study reveals that 69 percent of children at risk of hunger in Indiana are eligible for federal nutrition programs, like free or reduced-price school lunch or breakfast; but that 31 percent are not. The cost of an average meal in Indiana. Here in Indiana, the cost of an average meal is $2.33. The cost of an average meal in Indiana relative to the national average. Here in Indiana, the cost of a meal is 34 cents lower than the national average of $2.67. The annual food budget shortfall in Indiana, meaning the amount of additional money that food-insecure individuals in the area said they would need to put enough food on the table for an adequate diet. In Indiana, the total number is $173,459,592. This is the third year that Feeding America has conducted the “Map the Meal Gap” study. The findings of “Map the Meal Gap” are based on statistics collected by the U.S. Census Bureau and the U.S. Bureau of Labor Statistics; food price data and analysis were provided by Nielsen (NYSE: NLSN), a global information and measurement company providing insights into what consumers watch and buy. The study was generously supported by the Howard G. Buffett Foundation, Nielsen and The ConAgra Foods Foundation. Prior to the study’s first release in March 2011, food insecurity data was only available at the state level in the U.S. Department of Agriculture’s annual report. The study further analyzes each county’s food insecure population to determine their income eligibility for federal nutrition assistance, and also provides meal cost estimates for every county in the nation. This month, children across Indiana begin summer vacation. While summer vacation is considered to be freedom for many children, for the one in four Hoosier children facing hunger it means losing the one place that they can count on for a meal. For most of the country, the face of hunger is surprising. It does not discriminate against age, race, gender, or ethnicity. It affects working families who are forced to make difficult choices between food and basic necessities such as heat, medicine or rent. This school year, more than one million Hoosier children relied on free or reduced-priced school meals throughout the academic year. Consequently, their families may be left struggling to find a way to keep these children fed when these programs end and summer vacation begins. The USDA’s Summer Food Service Program (SFSP), which provides low-income children with free, nutritious meals during the summer months when school is not in session, is intended to fill this gap. SFSP is the single largest federal resource available for local community organizations that want to combine a feeding program with a summer activity program. Several member food banks and hundreds of their affiliated agencies are some of the many organizations that sponsor or host a summer feeding program site. However, the Summer Food Service Program continues to be underutilized. Sponsors are needed to help coordinate the program, and agencies are needed to host feeding sites and encourage families to bring their children. But one of the biggest reasons that the SFSP is underutilized is that families do not know that it is available for their children. Help is needed in raising awareness of this important program.You can check out the Indiana Department of Education’s interactive SFSP site map at http://www.doe.in.gov/student-services/nutrition, or call 211 to learn where sites are in your community. Help us get the word out about this program and increase participation in Indiana. 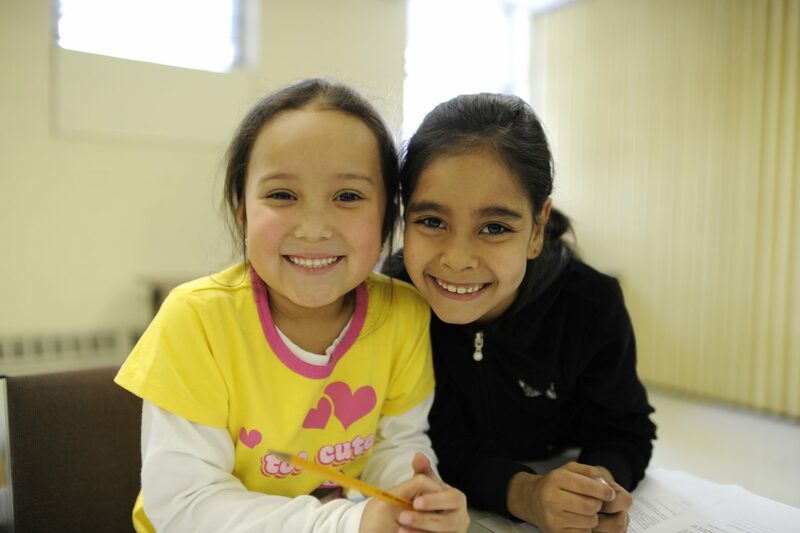 Together, we can ensure that all children have access to healthy meals this summer.